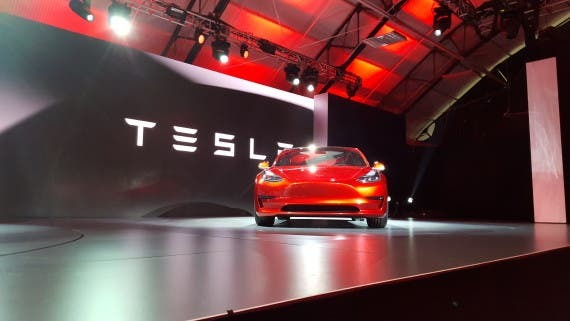 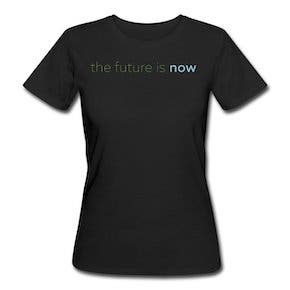 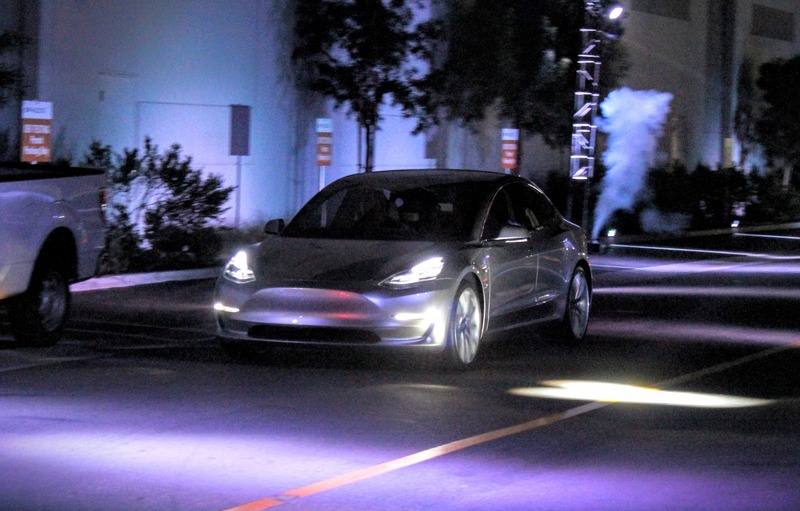 At the Model 3 reveal event on Thursday, March 31st, the mainstream media and general attendees stuck to the confines of the event property where they ate the message Tesla was serving up, and let’s be clear — it was a great message. 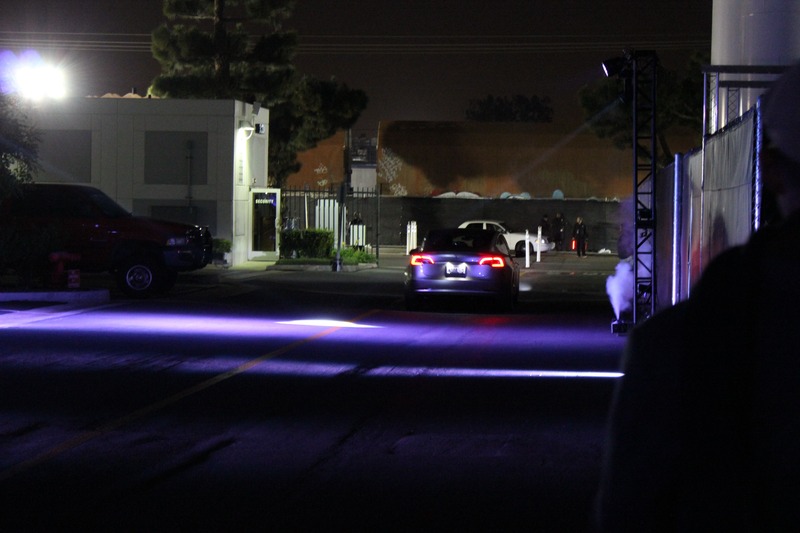 They eagerly drank in the presentation and the admittedly beautifully lit Model 3 on stage just like we did… but we wanted more. 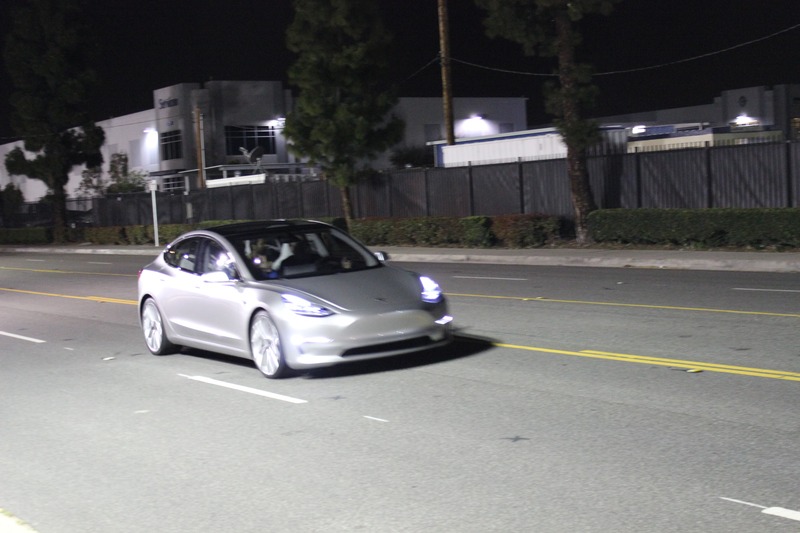 Not just a ride in the car around the track or some stock photos… we wanted to capture the Model 3 in action, moving and dynamic… so that’s what we did. 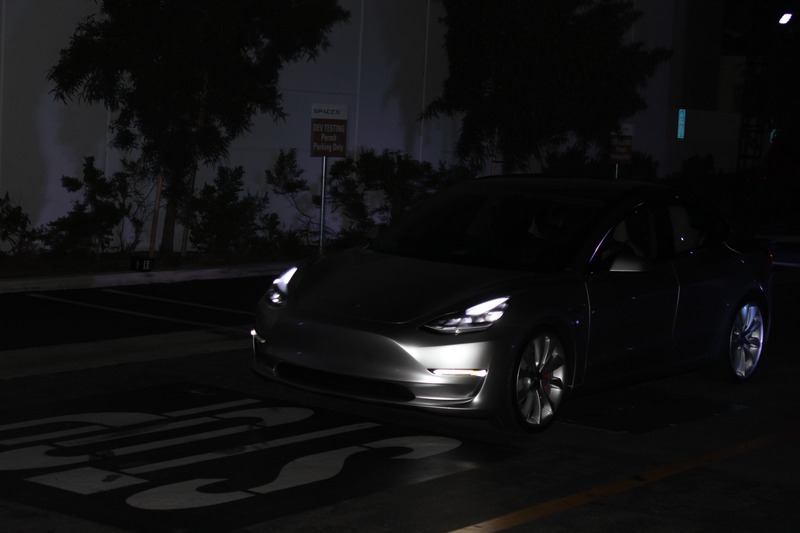 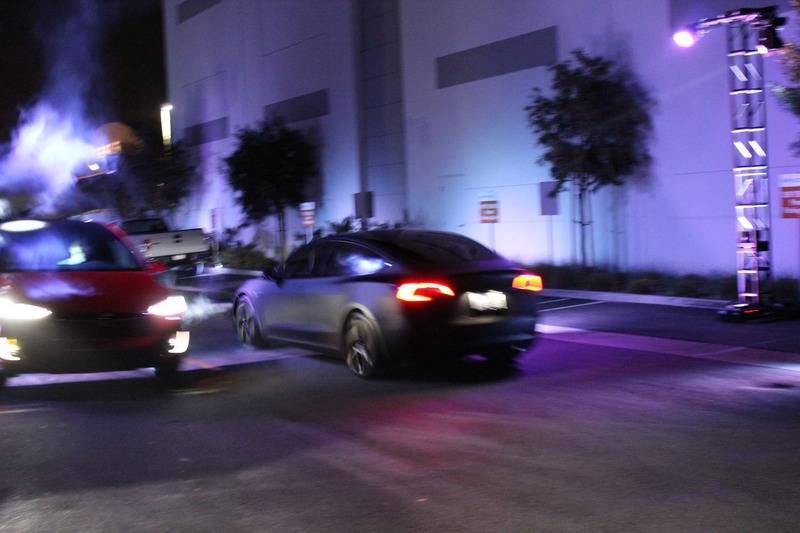 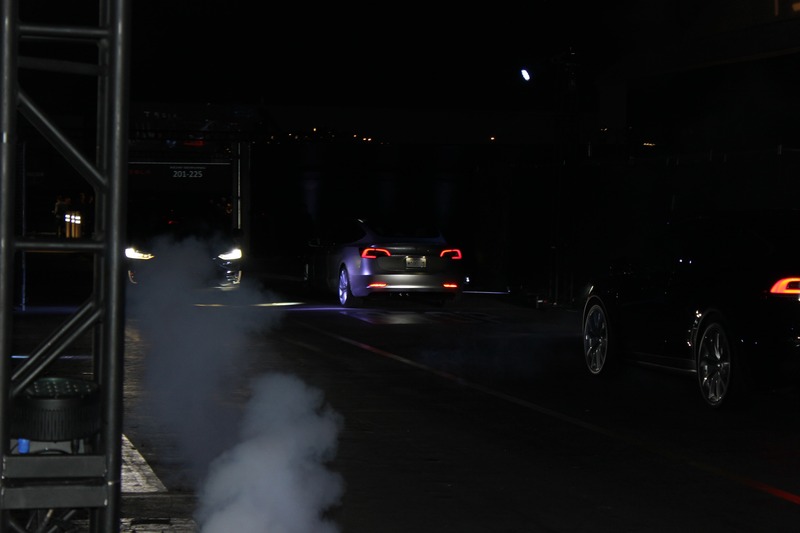 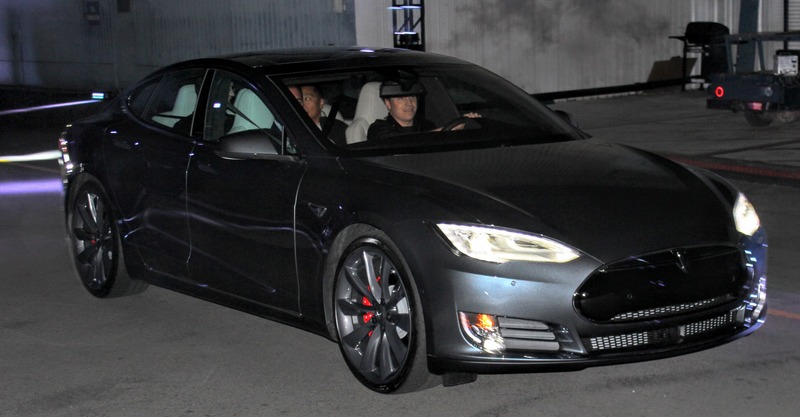 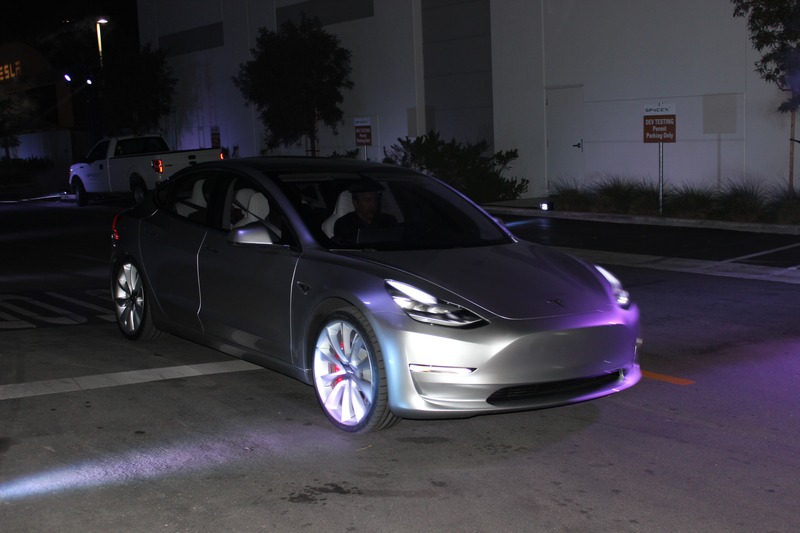 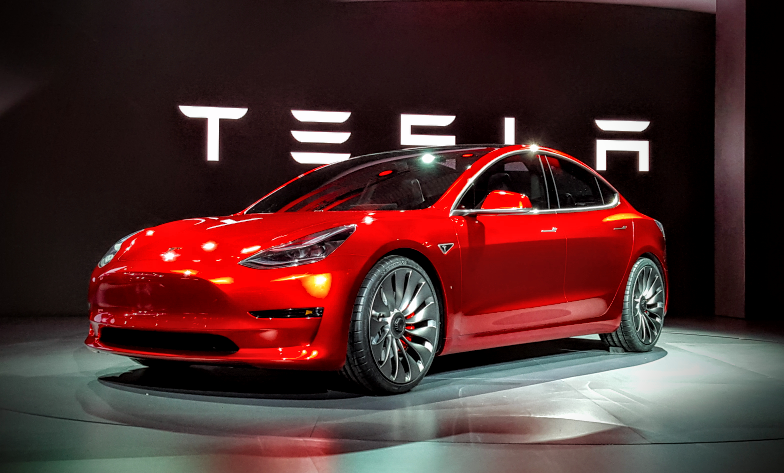 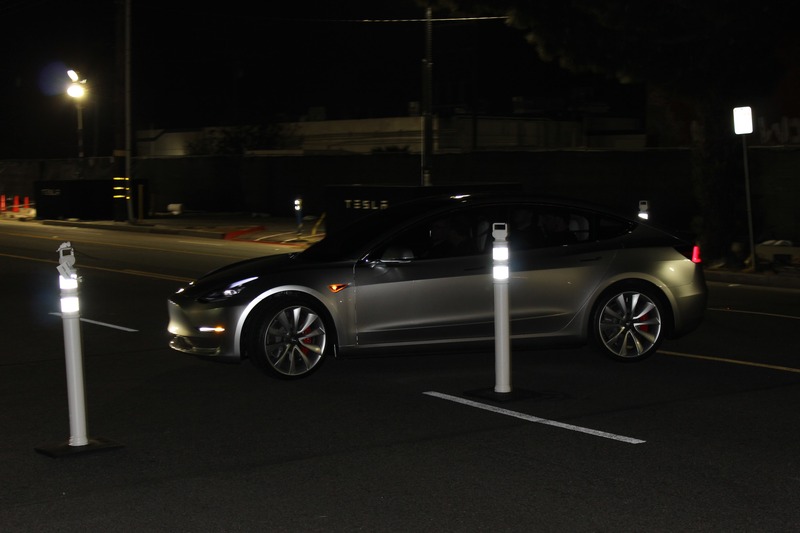 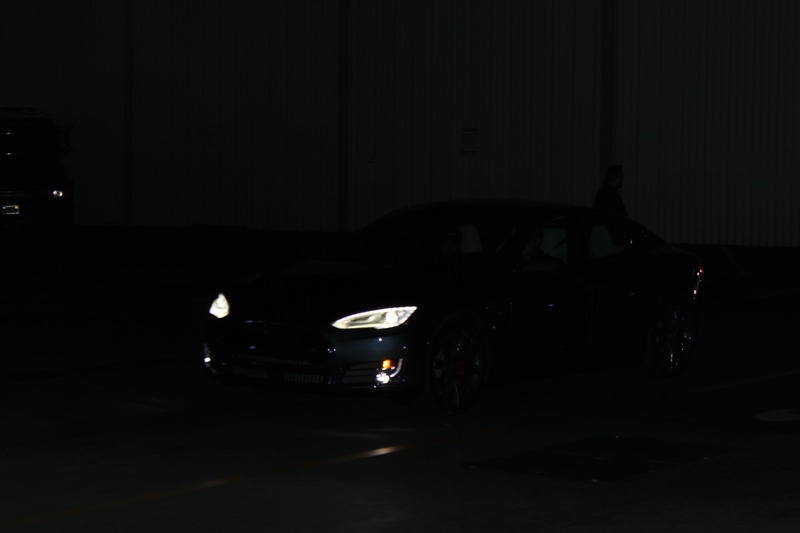 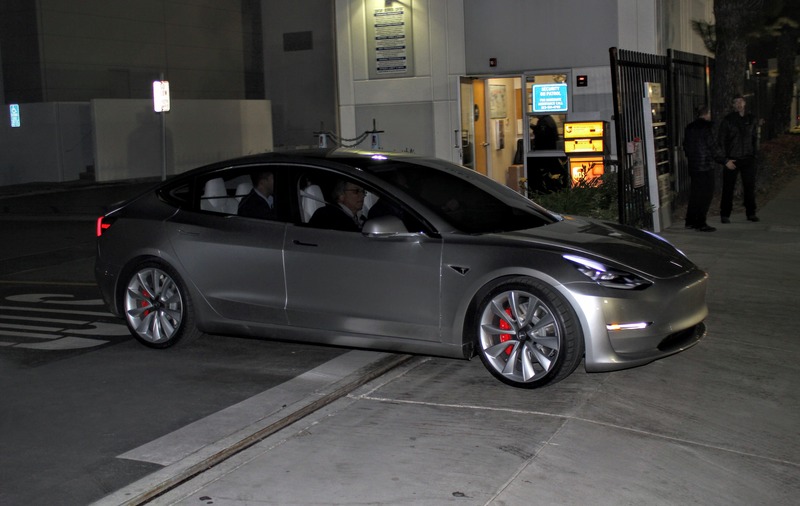 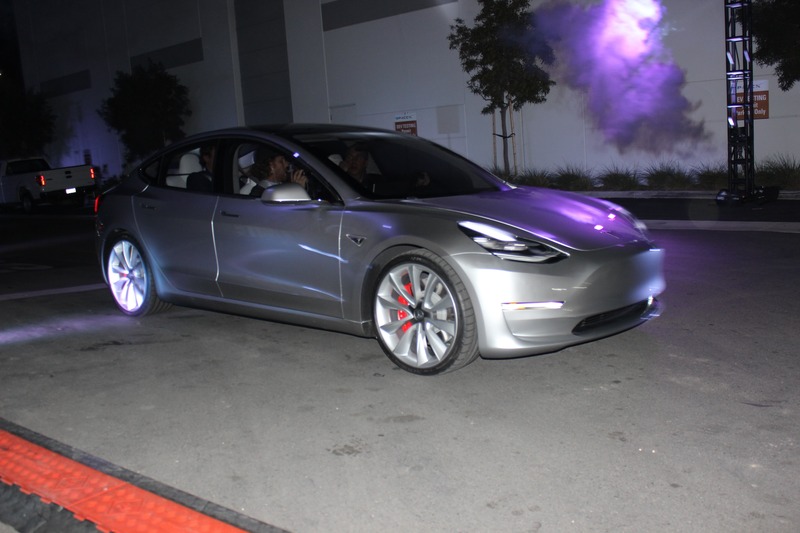 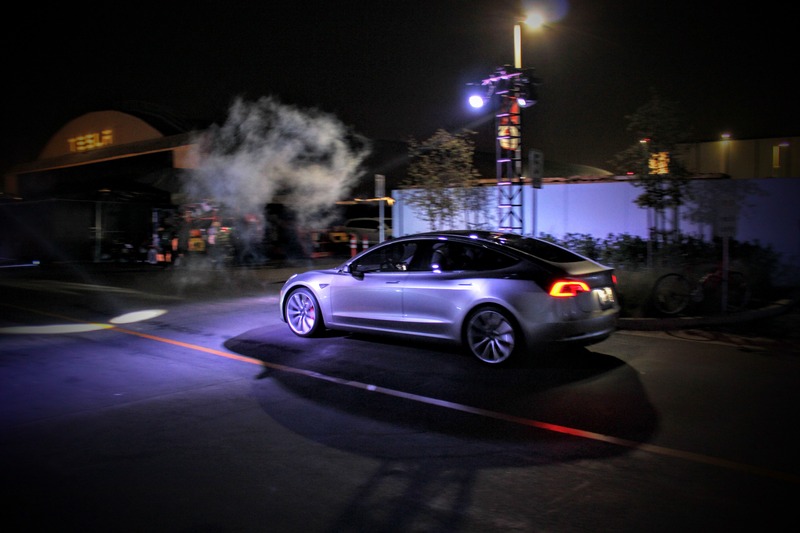 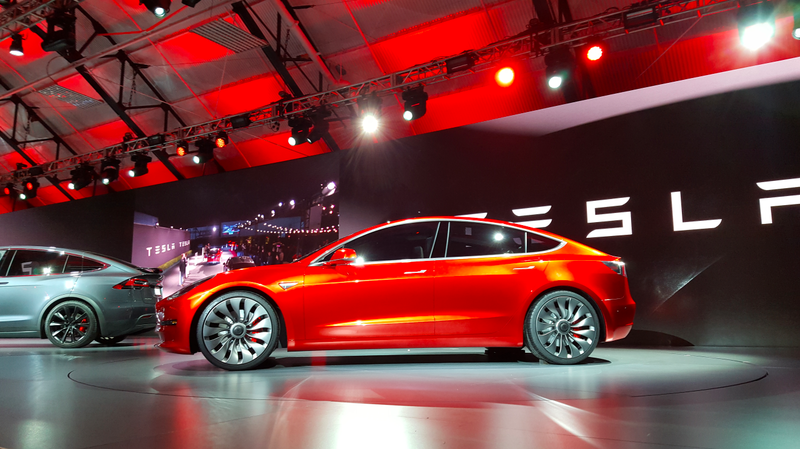 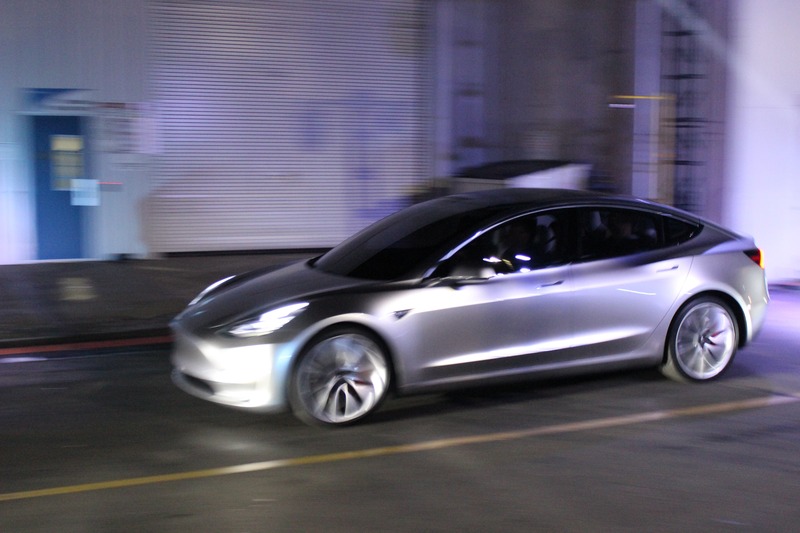 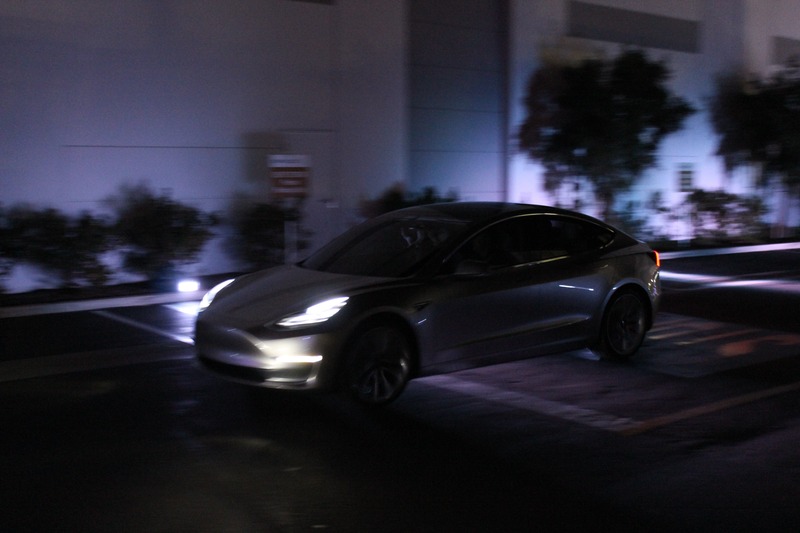 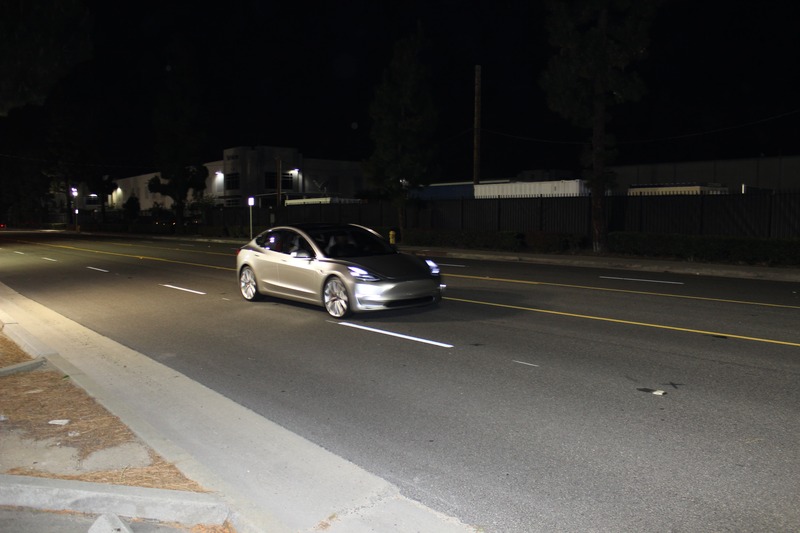 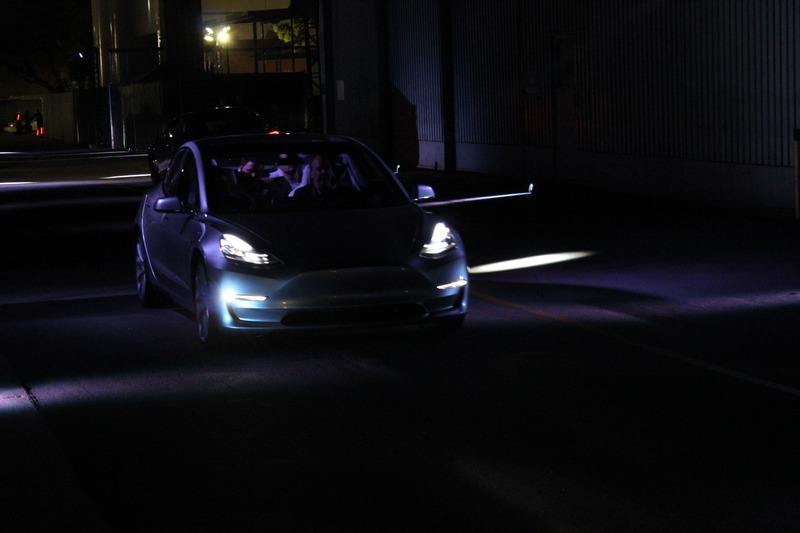 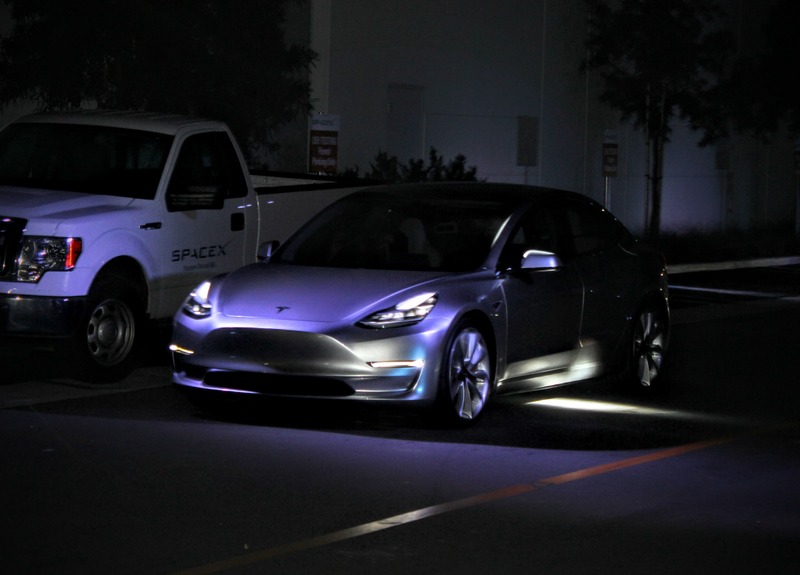 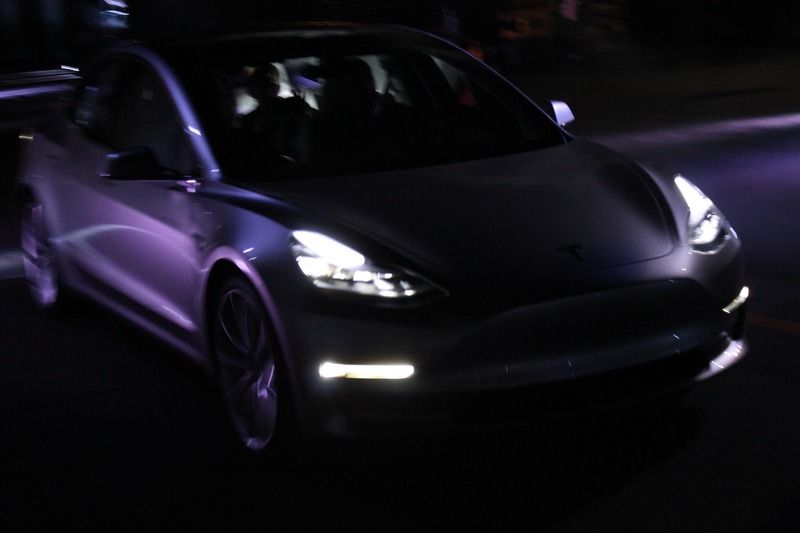 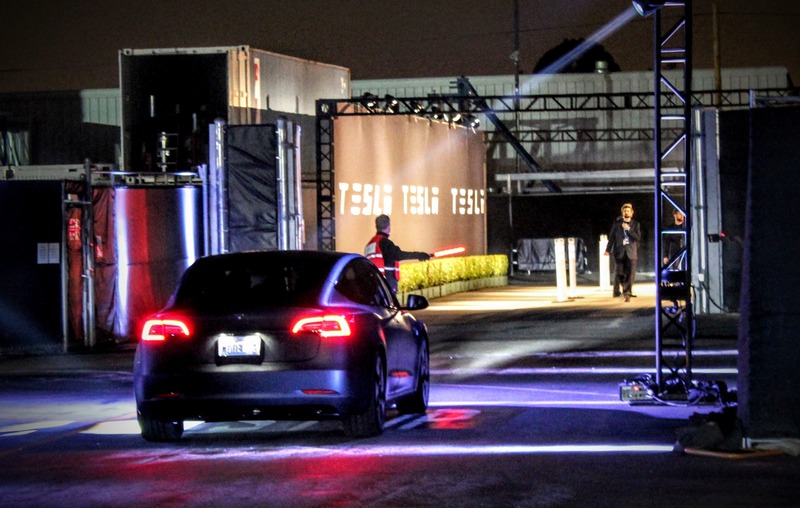 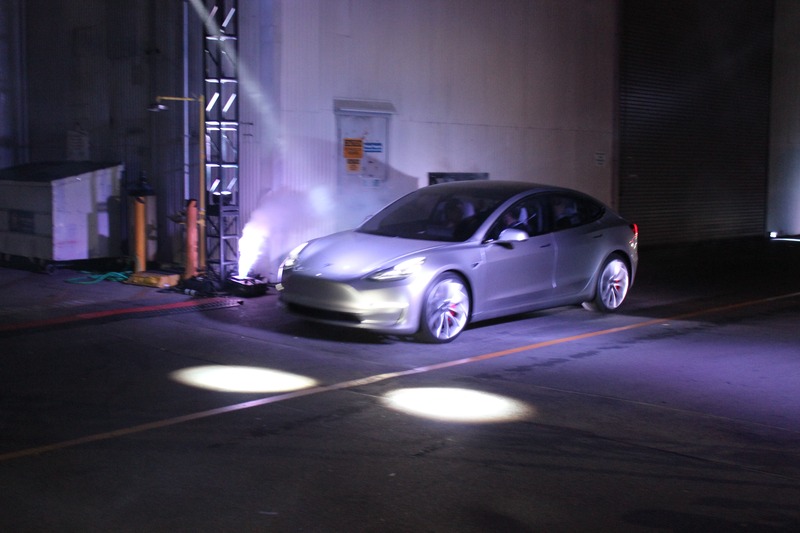 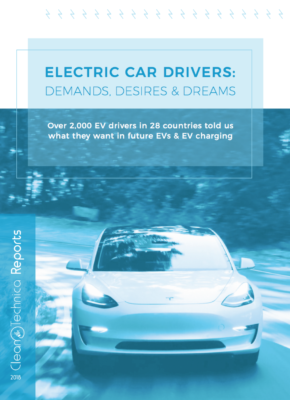 When the lights went down after the big presentation, everyone eagerly awaited their turn for a test ride (where a Tesla employee would drive the occupants around in the star of the show — the Model 3 — or a Model S or X). 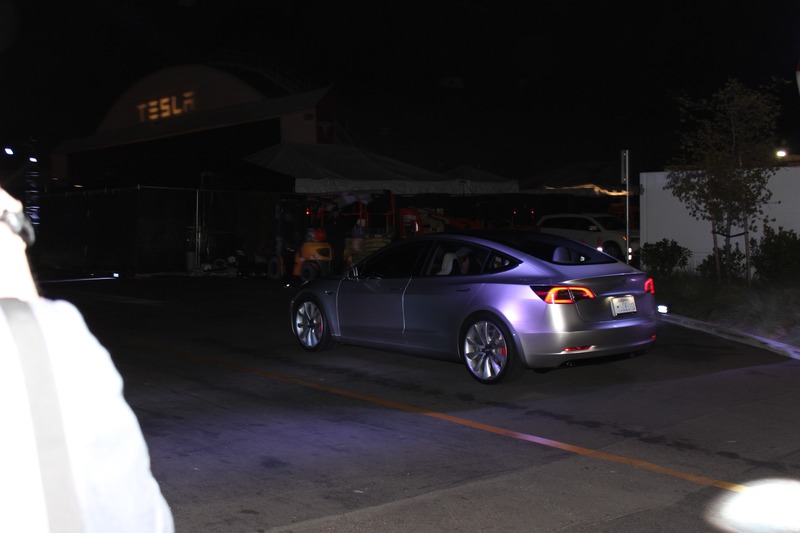 Most of the drivers were engineers or designers, but several attendees reported that CTO J.B. Straubel snuck into the action to drive a few sets of lucky guests around on the track. 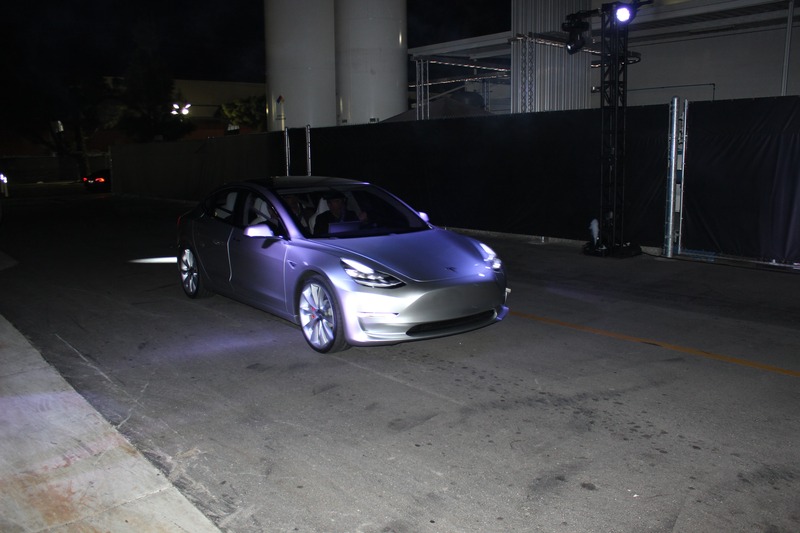 Outside the event, we squirmed and wriggled our way onto the the test track and drank in the amazing sights of the two Model 3s, the two Model Xs, and the one Model S Tesla had setup for test rides from a wide variety of positions and angles. 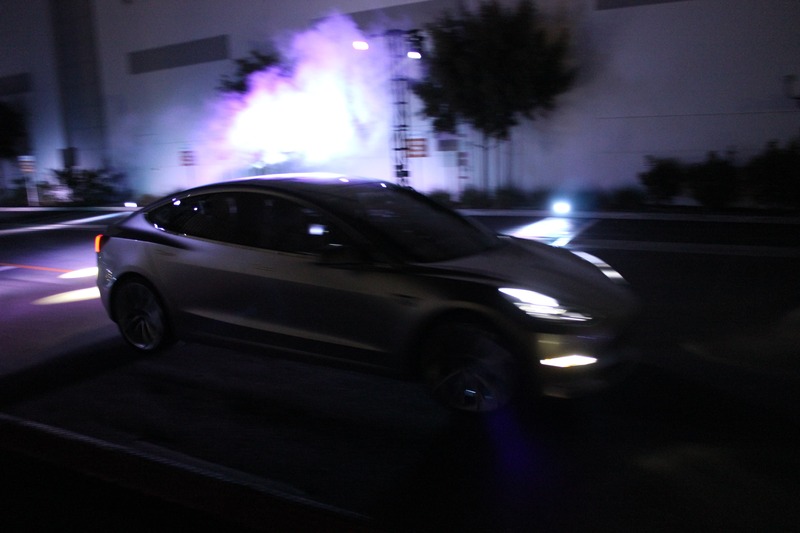 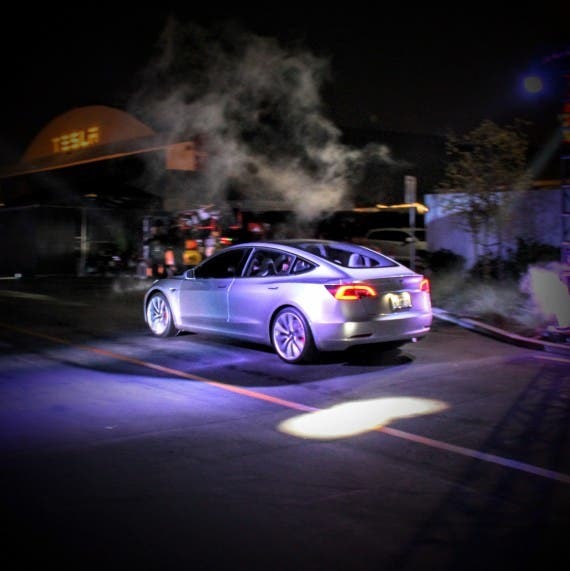 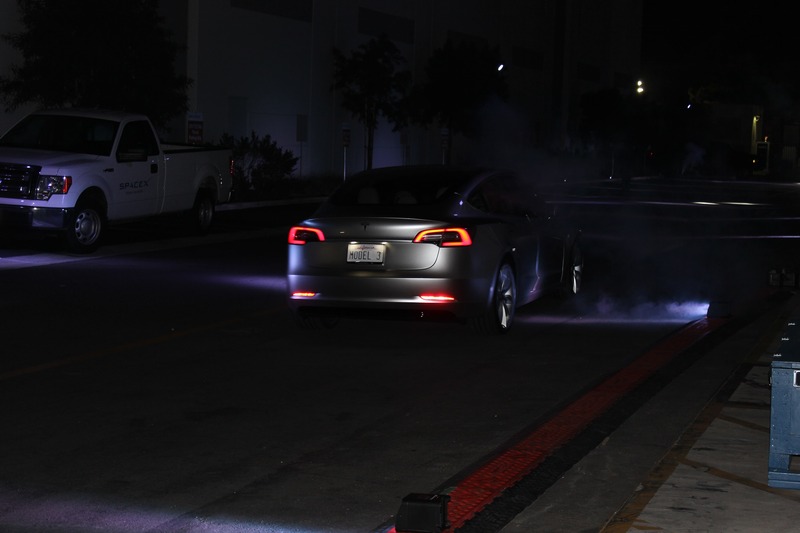 Zach posted the video of the Model 3 gliding silently around the track with the occasional punctuating puff from the nearby smoke machines, and I’m thrilled to share with you now some of the photos I captured. 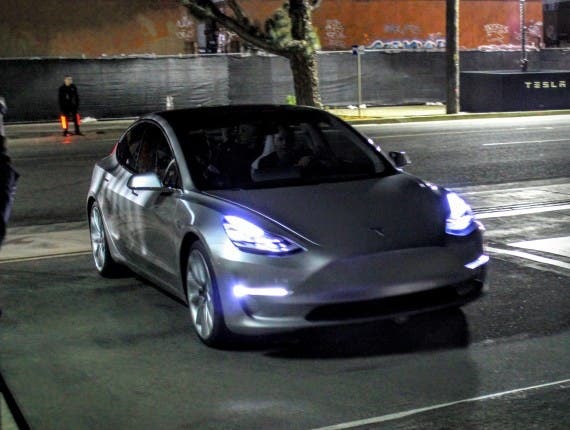 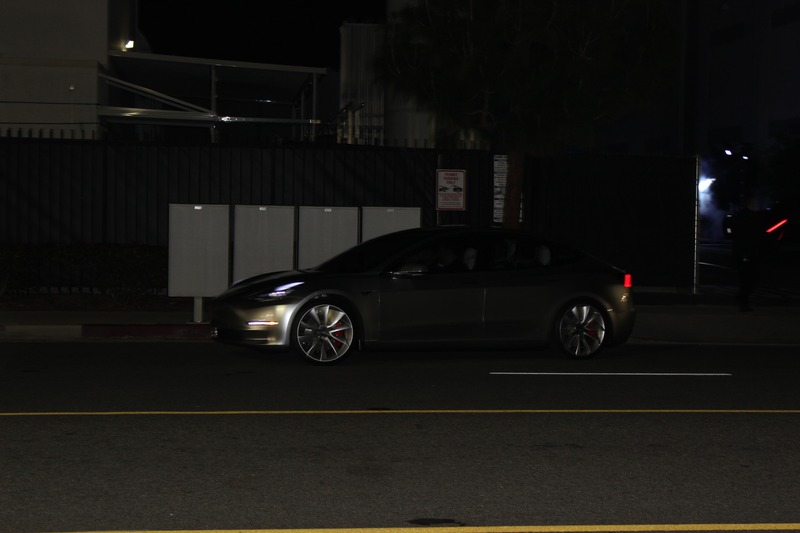 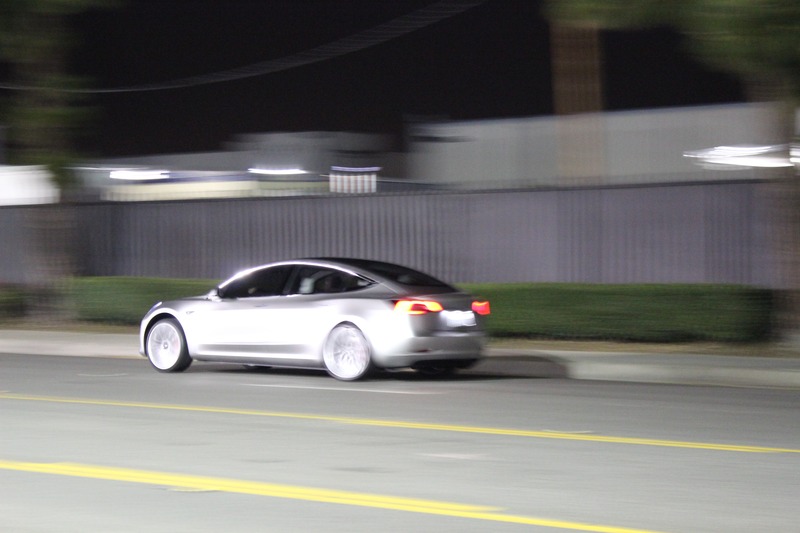 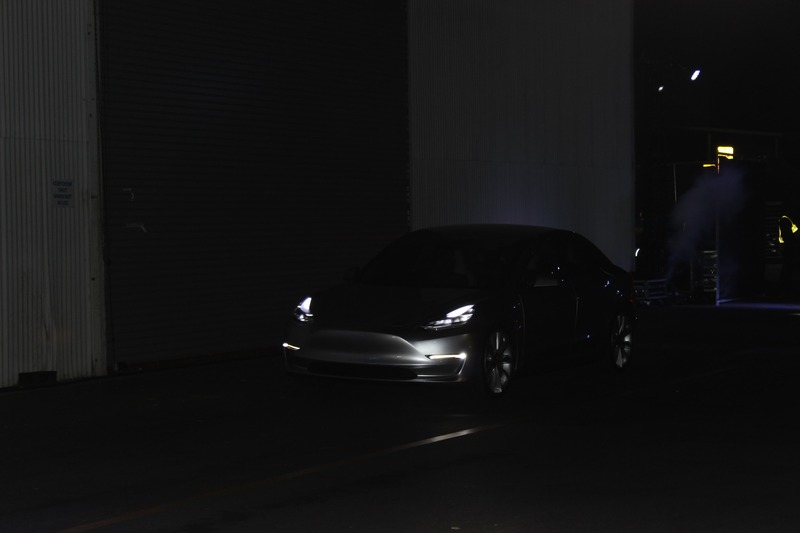 Below are not just the most crisp pictures snapped in the crazy lights of the track but more than that — these are the pictures that we felt really capture the personality of the Model 3. 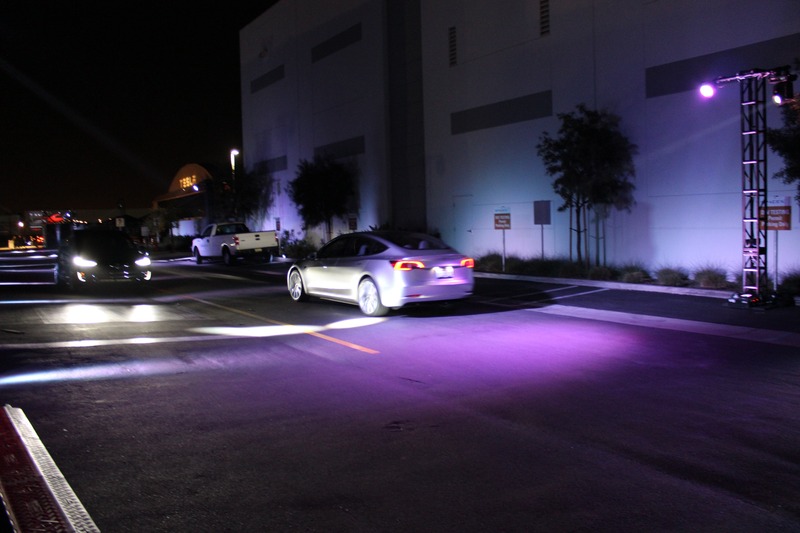 The dance floor lighting serves to accentuate the angles, lines, and curves of the car, showing off the car in beautiful ways. 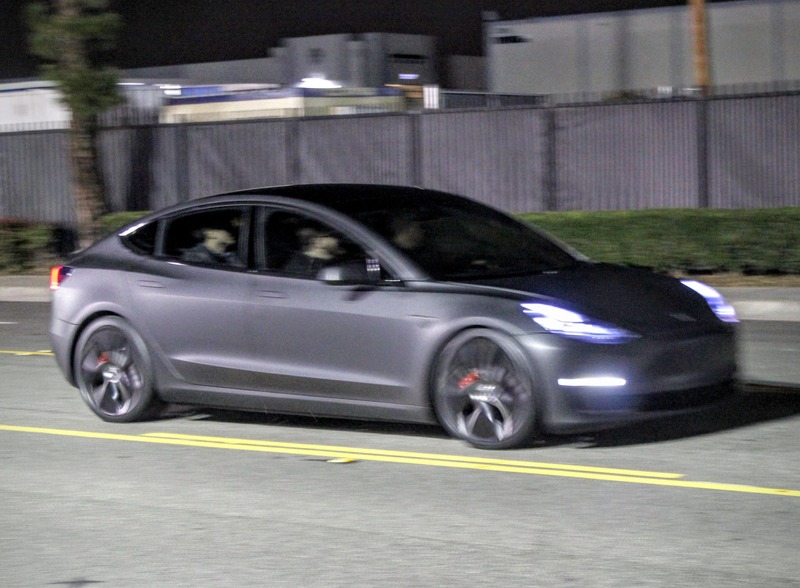 The Model 3 looks like a hatchback, a Porsche, a Lexus, a Model S, and even a Model X depending on the angle.